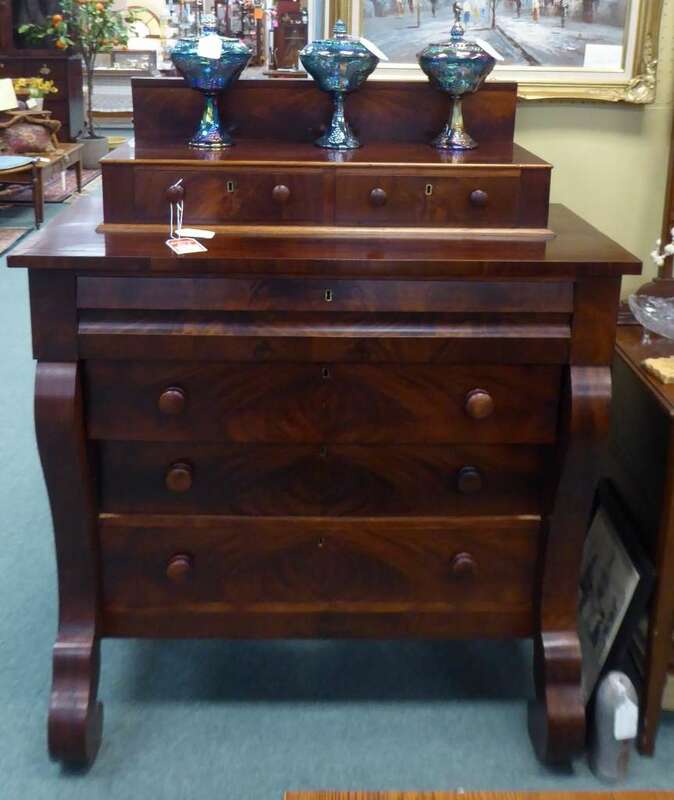 An Old Master Metal Dump Truck and a One Cent Candy Jar! With Door Prizes and a Store Wide Sale! 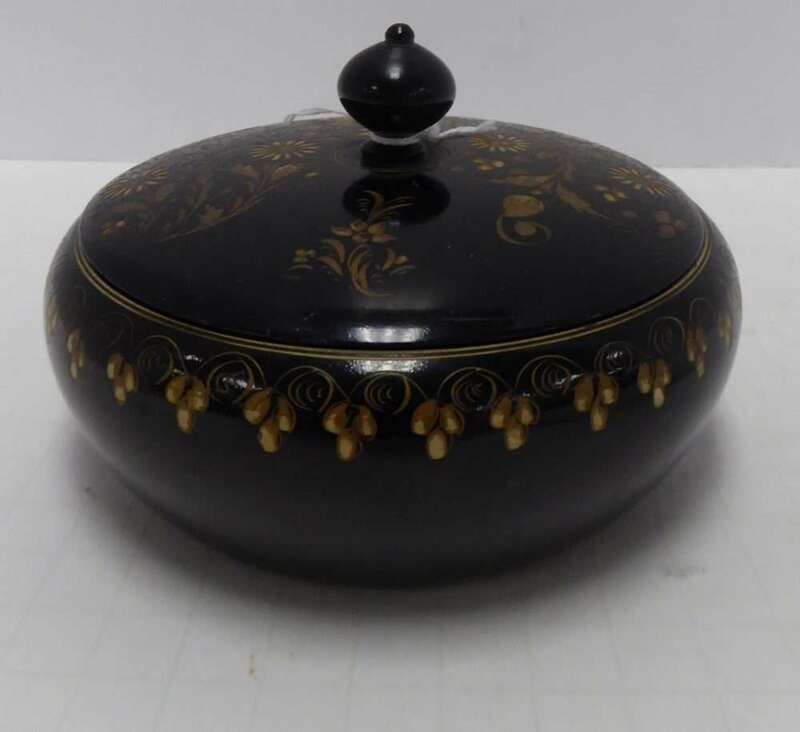 Please Scroll Down for This Weeks Newest Arrivals! 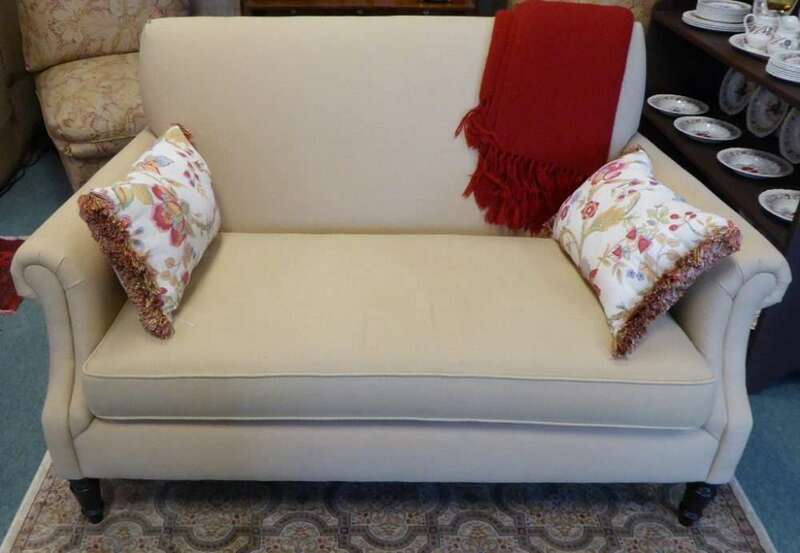 Beautiful Crate and Barrel Sofa from Booth 81 – $575.00. 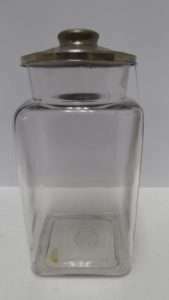 Small Wooden Dresser Jar from Booth 88 – $20.00. 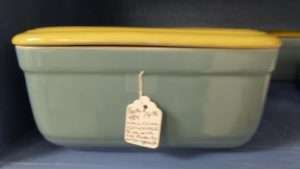 Master Metal Products Dump Truck – Booth 31, $175.00. 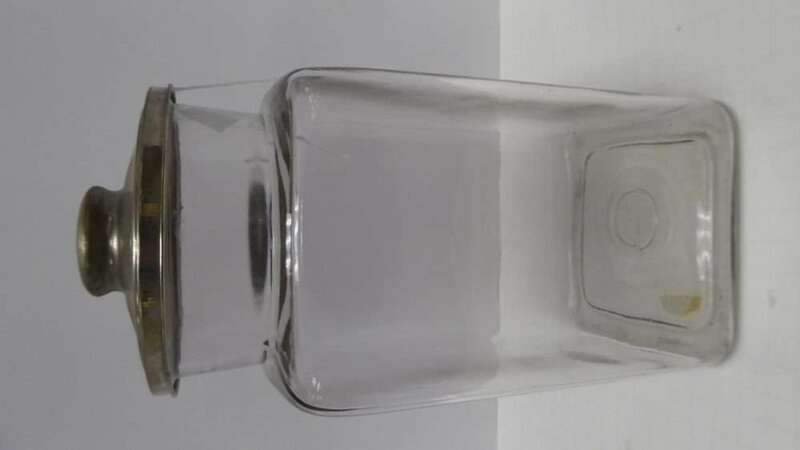 Penny Candy Jar – Booth 914 – $25.00. 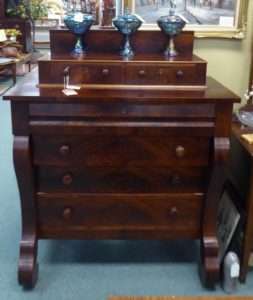 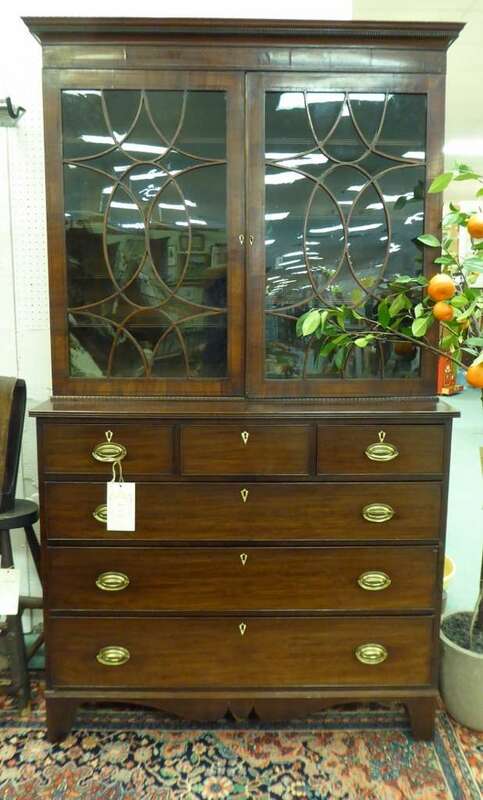 Mahogany Dresser w Square Nail Construction, $895.00, Booth 105. 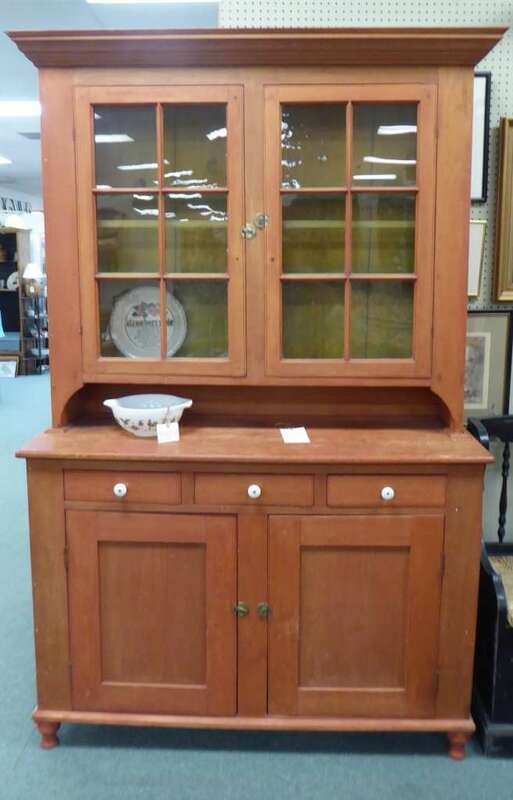 Pennsylvania Dutch Stepback Cupboard – c1830, 50- Booth 40, $3250.00. Chippendale Mahogany Breakfront/Bookcase w Key – $2800.00, Booth 40. 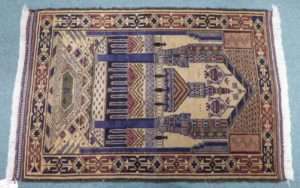 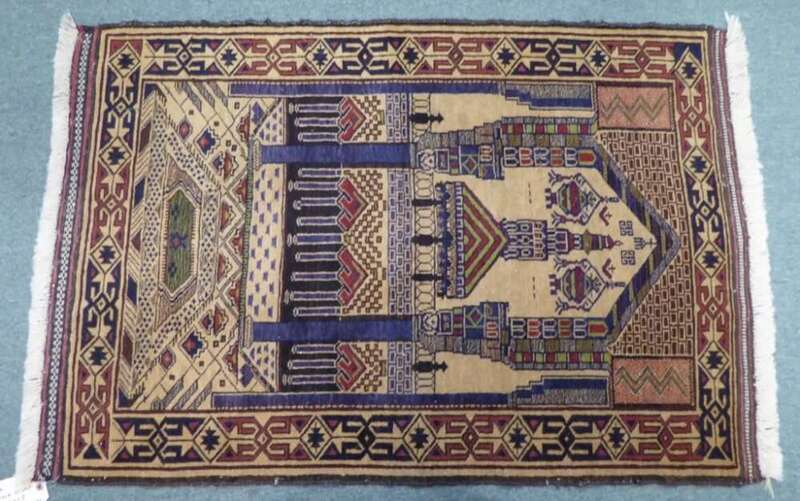 Vintage Afghan Rug – $349.00 – Booth 678. 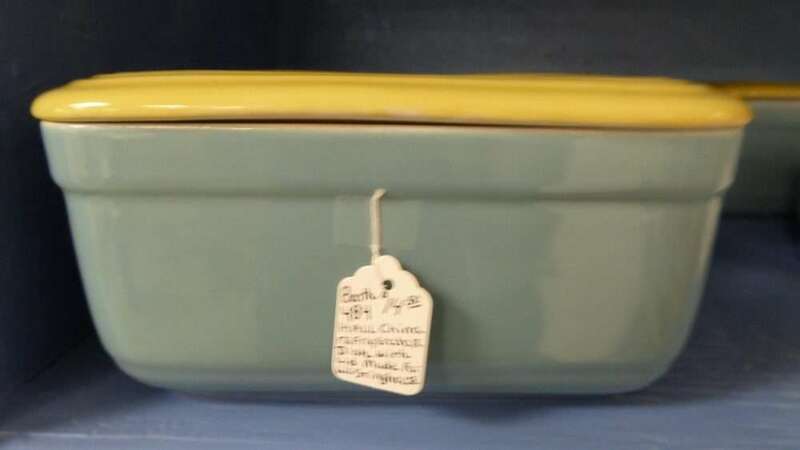 Hall China Refrigerator Dish from Booth 484 – $14.50. 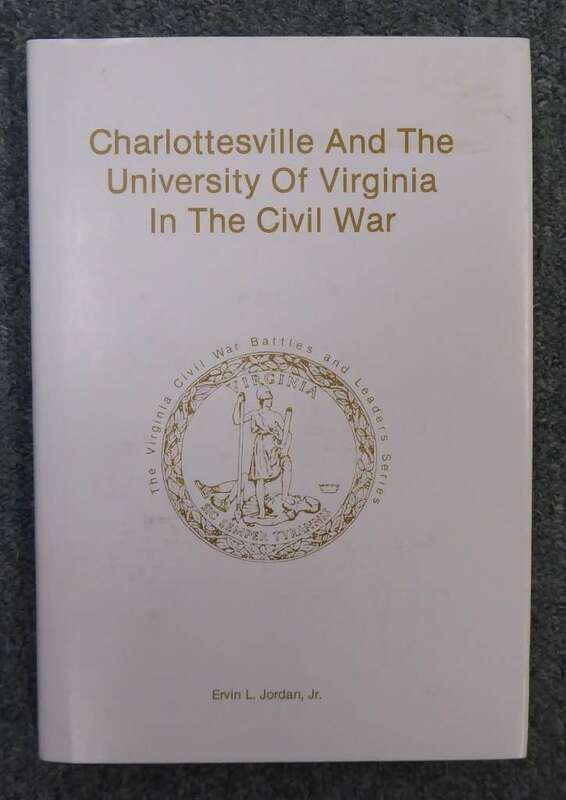 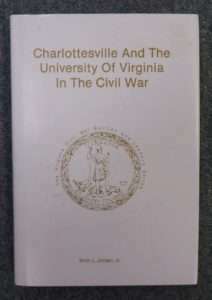 Book: Charlottesville and the University of Virginia in the Civil War – Booth 418 – $90.00. 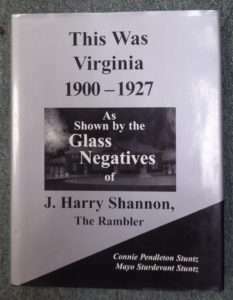 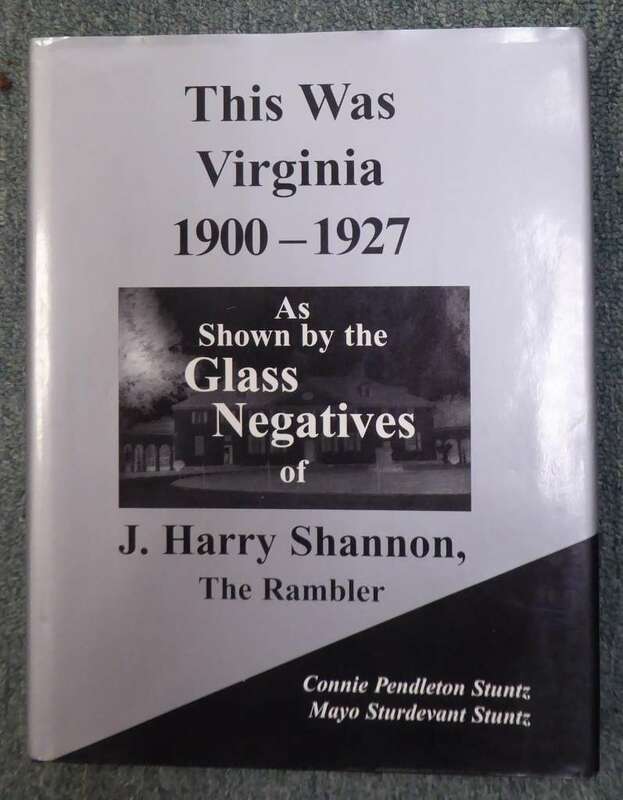 Book: This was Virginia 1900 – 1927 as Shown by the Glass Negatives of Harry Shannon – Booth 32, $90.00. 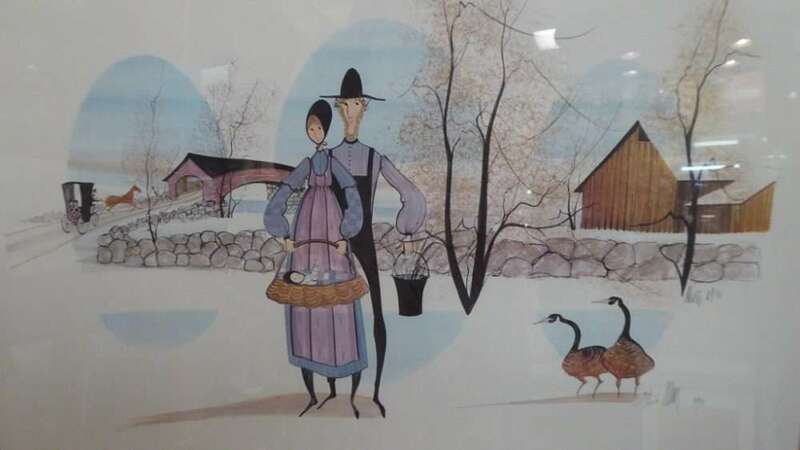 P. Buckley Moss Limited Edition Print from Booth 33ha – $265.00. ‹ New Arrivals: Settee w Bee Motif and a Bishop’s Chair!